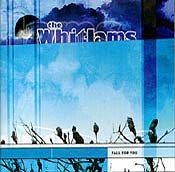 In March and April of 2001 the four Whitlams got together in a house on the NSW South Coast and arranged songs together from scratch for their new album. “This is the first ‘band’ record I’ve made since [1995’s] Undeniably the Whitlams,” Tim said looking back over the year. “It was recorded by the one band and sounds like the one band”. The first single ‘Fall for You’ is a good example of the new band vibe. It is driven by the rhythm section, with Tim’s wurlitzer only poking its head in. The chorus is delicious as orchestral strings rise to an uncertain resolution by song’s end. Sharing lead vocals with Tim is Sophie Michalitsianos, a successful Australian singer who now works from New York (she was nabbed on tape during her Christmas visit home). Sophie was most recently heard on Sparklehorse’s “Good Morning Spider”. Fall for You was produced by Daniel Denholm who was responsible for the hits “Thankyou (for loving me at my worst)” and “Blow up the Pokies” from the double-platinum “Love this City”. The single contains 6 tracks. Fall for You is re-mixed on track 2 by Rob Taylor (producer of the first 4 Whitlams’ albums) and his new group “Atomica”. Tracks 3 and 4 are versions of the Triple J favourite “I Will Not Go Quietly” (Duffy’s Song), an early incarnation of which appeared on the ABC show “Love is a Four Letter Word”, and though not released, was voted number 42 in last year’s Hottest 100. Track 5 is an out-take from the Memphis sessions of “Love This City” and track 6 is “Atomica” going to town with “Fall for You”.